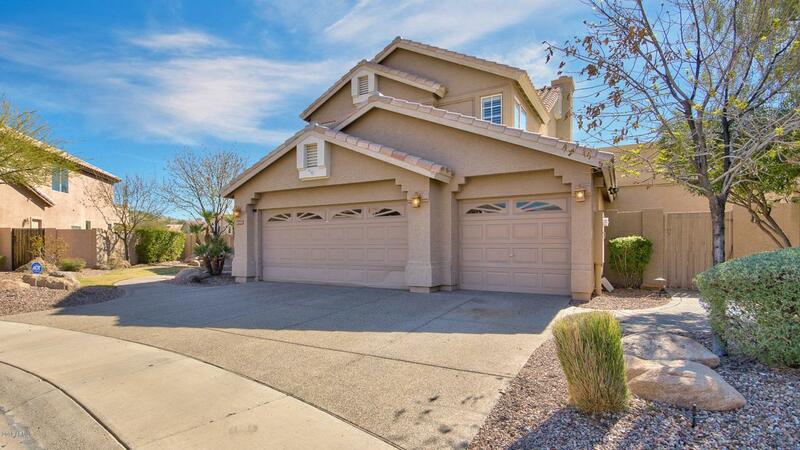 This gorgeous, one of a kind home with 360 degree mountain views is located in the highly desirable Mountain Park Ranch Community of Ahwatukee! Walk into a grand entryway with a beautiful neutral pallet, tile floors, and luxurious carpeting. Upgrades throughout the home including custom cabinets, back splash and counter tops in the kitchen and tile shower and tub surrounds in the bathrooms. Custom room addition contains another full size kitchen; perfect for guests or additional live-in family members! The large living space downstairs has a cozy wood burning fireplace which leads you out into the backyard of your dreams. Features a large, sparkling pool with water feature, built in grill, and the perfect seating area near a fireplace for those gorgeous nights. Schedule your showing today!